War Elephant Fund Raiser coming soon! War Elephant Racing - Goal Met! 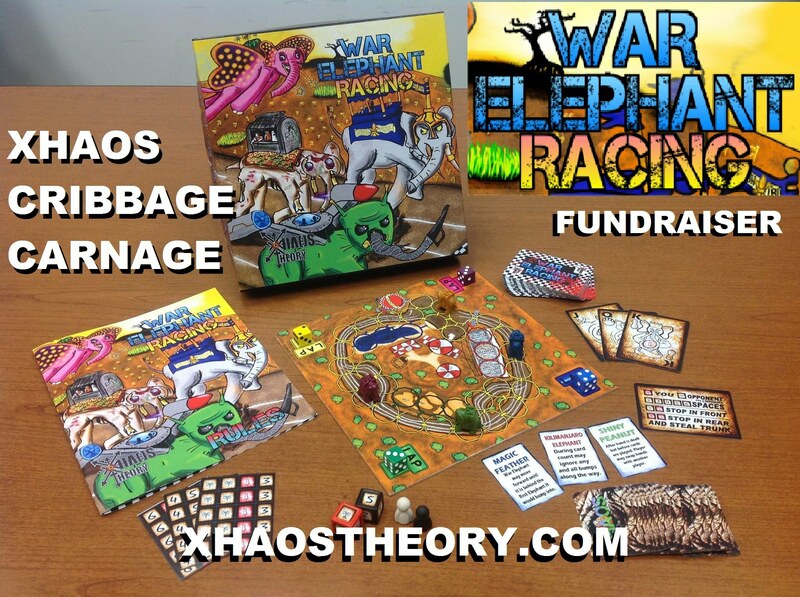 War Elephant Racing fundraiser has begun! War Elephant Racing going to the printers! War Elephant Racing is available now! Xhaos Theory Rule book is now available! Welcome to Xhaos Theory Games! We are excited to have you here at the beginning of something very fun and exciting for us. We are working hard on all kinds of fun things for you behind the scenes. This is only the beginning of what we hope will be plenty of fun in the future for all of us. Two games currently completed just layouts, funding and that kind of thing to finish up. While we play the waiting game for those we are working on new games to follow. We look forward to where this new opportunity takes us, and we hope we have all of your support to make fun games for everyone to play. We are all open ears here, so if you ever have a suggestion or an idea, or want to help out with playtesting or you want show off the game somewhere just let us know! Xhaos Theory the miniature game is HERE!!. One of the easiest games you will learn, but a lifetime to master. Xhaos Theory allows you to use any miniature or toy from any game system. The armies and setting are up to you. 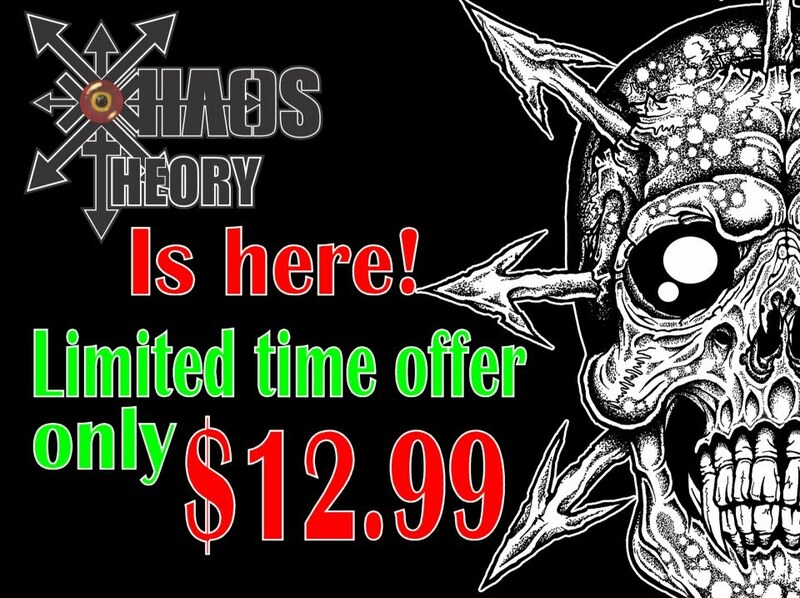 The Xhaos Theory book is here and we are offering it at $12.99 out the gate to give early birds the deal to check the game out at low risk. Fully customizable settings, forces, and easy to learn, but a lifetime to master. Xhaos Theory allows you to use any miniature or toy from any game system. The armies and setting are up to you. Pick up your copy at the link below. Now you can get your hands on our exciting new game War Elephant Racing. Tons of fun, and worth its weight in peanuts. Click Here to learn more or you can be the daredevil that we know you are and buy it now by CLICKING HERE. War Elephant Racing is available now! Now you can get into the action! 2-4 players of intense racing, bumping, and attacking. Lead your War Elephant to the front and don't forget your nuts! Click Here to purchase ! War Elephant Racing going to the printers! The fundraiser campaign has came to a close, and now we just wait for the printers to get you lucky ones a special edition of our first release. After everyone in the fundraiser gets their copy we will open it up for everyone else to order theirs. You can keep up to date on our more updates on Facebook by CLICKING HERE. This website is ©Copyright 2011-2014 Xhaos Theory Games.